175 years ago, on 9 January 1841, the Erebus and Terror expedition with James Clark Ross was the first that ever burst into the Ross Sea, a deep bay of the Southern Ocean in Antarctica. You know the captain’s name already: the Ross’s Gull was named after Ross who collected the type specimen in 1823 on Melville Peninsula in the Canadian Arctic. That was long before the Antarctic expedition, but there is one other name closely related to it that you are familiar with – probably without knowing: the South Polar Skua Stercorarius maccormicki, whose scientific name, as well as the older common name, the MacCormick’s Skua, bears memory of the surgeon on HMS Erebus, Dr Robert McCormick, who undertook zoological records of the expedition and shot the type specimen on 12 January 1841 on Possession Island in the Ross Sea – only three days after the sea was discovered. Curiously, in 1831, McCormick was appointed a surgeon on HMS Beagle under the command of Captain FitzRoy and he expected to put together a sizeable natural history collection. Unlike Darwin, who was a self-funded gentleman naturalist on board, McCormick was bound to the Beagle by his duties and was furious that a civilian passenger on board had usurped his rightful position as ship’s naturalist. 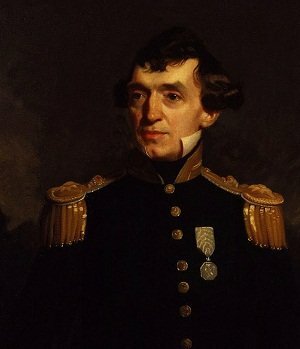 Hence, McCormick left his position to subsequently become surgeon on the Ross’s Antarctic expedition between 1839 and 1842. The Ross Sea is the most productive stretch of water in the Southern Ocean, teeming with large predatory fish, whales, seals, penguins and other animals that form the last intact marine ecosystem on Earth. Consequently, the Ross Sea has become a focus of numerous environmental groups who have campaigned for a world marine reserve. 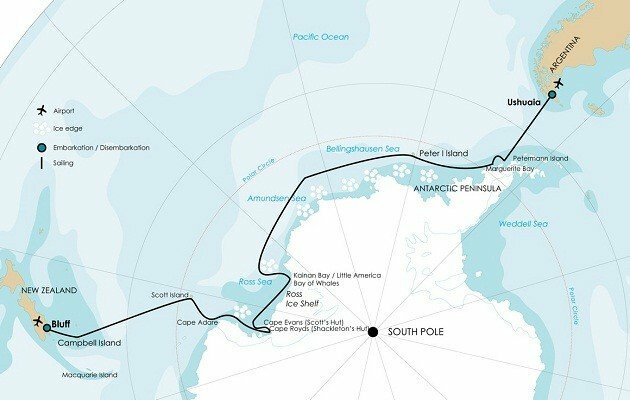 In July 2013, the Commission for the Conservation of Antarctic Marine Living Resources held a meeting in Bremerhaven in Germany, to decide whether to turn the Ross Sea into a marine protected area. The deal failed due to Russia voting against it, citing uncertainty about whether the commission had the authority to establish a marine protected area. So close to the pole only a handful of bird species can survive, and even so, death toll is very high, hence their populations must be huge (millions). As a consequence, the Ross Sea has one of the highest concentrations of seabirds in the world. There are 11 species of birds that breed in the Ross Sea region. The most numerous penguins are Emperor and Adélie Penguins, with 26 and 38 percent of the world’s population breeding in the Ross Sea, respectively. The region is also a major habitat for petrels. There are six species of petrels breeding on the Balleny Islands, but the majority breeds on mountain tops well inland in Marie Byrd and Victoria Land, including Antarctic Petrel, Snow Petrel and Wilson’s Storm Petrel. On the Balleny Islands Antarctic Fulmar, Antarctic Prion and Cape Petrel also breed. Six species of baleen whales (the most abundant – Minke, also Blue, Fin, Humpback, Sei and Dwarf Minke) have been recorded in the Ross Sea region, together with six species of toothed whales (the most abundant – Orca, also Sperm, Arnoux’s Beaked, Southern Bottlenose, Long-finned Pilot Whales and Hourglass Dolphin). Sperm Whales prey on Toothfish and large squid and in February 2007, a 10-metre (32.8 feet) long Colossal Squid weighing 495 kilograms (1,091 lb) was captured in the Ross Sea. There are five species of seal that have been recorded in the Ross Sea – Crabeater, Weddell, Leopard, Ross (first described during the James Clark Ross’s expedition) and Southern Elephant Seal. 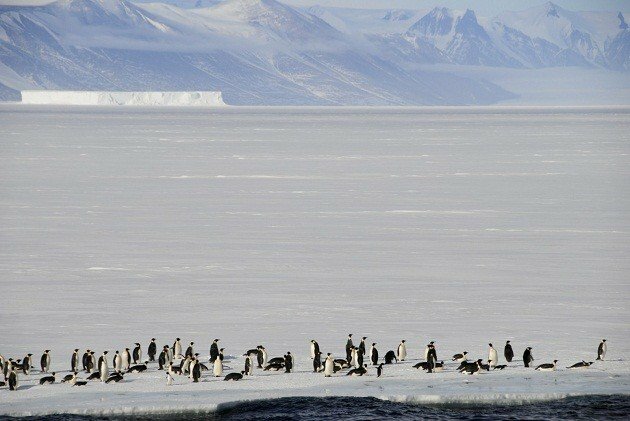 While this sounds optimistic, it is a diplomatic way of saying that we are in the same situation we were in 2013, and considering the current state of affairs between US and Russia, the Middle East stand-off may decide the future of the Ross Sea. In the End – Where am I in This Story? Many years ago, I was a proud member of something called The International Long River Canoe Club. The club had its bulletin where the members, from the USA and the Russian Far East to Antarctica, wrote on their activities. Not widely known at the time, even the French Secret Service agent who sank the Greenpeace’s Rainbow Warrior was among the membership. There was also a lady – I do not remember her name – who was overwintering in a scientific base in Antarctica. For obvious reasons, she has done no canoeing there, yet, her activity reports were the longest of all. The snow was falling, the wind was blowing… what else to do? The Oceanwide Expeditions are giving away one free cruise ticket for the month long expedition from New Zealand through the Ross Sea to Argentina. And I need you to vote for me and send me to Antarctica, so I could write wildlife blogs on Adélie Penguins and Leopard Seals. Back to the overwintering lady who wrote the longest mails – the cruise is planned for the next February, giving me a year to study the last intact sea ecosystem in advance, a month to observe and write a draft version of my Ross Sea book on board, and I will need one more year afterwards to recheck every line and put all experiences and the data together. Now you know. 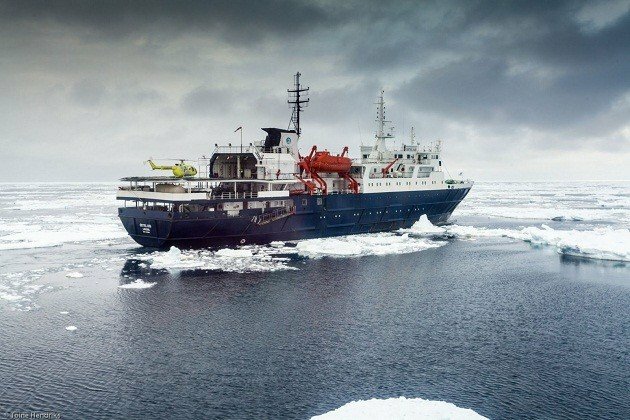 I want to write a book – in English – about this “voyage of the Beagle”, about Antarctica and its wildlife in the light of climate changes, and us, the travellers on board the Ortelius and us, the mankind on board our only planet. Working title: The Only Planet. And in order to get there, I need your voice. Please vote for me HERE. Where Are You Birding This Fourth Weekend of January 2016?